Adriaan Ryder is leaving the $57 billion Australian fund manager after seven years at the helm. Adriaan Ryder, outgoing CIO, QICAdriaan Ryder has resigned as CIO of QIC, the Australian fund manager confirmed Thursday. 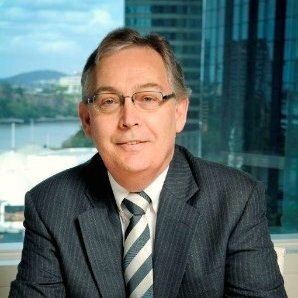 “Adriaan made a significant contribution to QIC and a number of key clients through his focus on the fiduciary management function of the Queensland government’s retirement assets as well as by deepening our sovereign wealth fund networks,” said CEO Damien Frawley. Ryder joined QIC in 2005, serving in several senior asset management and strategy roles before his promoted to CIO in 2008. Newly appointed Managing Director Jim Christensen will be responsible for the global multi-asset team, previously led by Ryder. Christensen, who started at QIC in 1997, returned to the organization in January after a six-year stint as CIO of TelestraSuper. “Jim and Adriaan have had a smooth handover of the running of the global multi-asset team, investment processes, and clients, which has benefitted from Jim’s previous experience at QIC and corporate knowledge,” QIC said. There is no word on a replacement for Ryder as CIO.